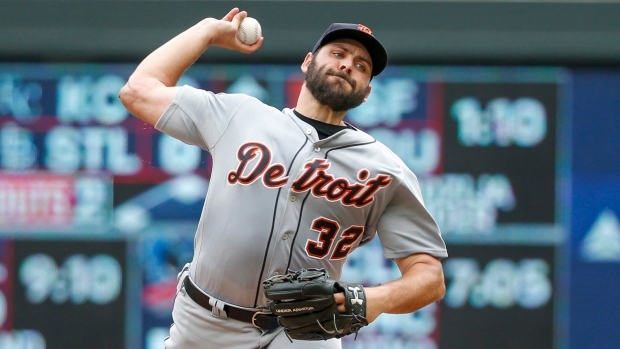 Michael Fulmer's 2019 season could be over before it even began. The Detroit Tigers announced on Tuesday that, after an MRI, the starter has been recommended for Tommy John surgery by Dr. James Andrews. Fulmer, 26, had been shut down by the team last week when he began to experience elbow soreness. The team notes that Fulmer is seeking a third opinion before deciding upon his options. Tommy John surgery would also likely wipe out some of Fulmer's 2020 season. A native of Oklahoma City, Fulmer started 24 games for the Tigers last season, going 3-12 with an earned run average of 4.69 and a 1.315 WHIP over 132.1 innings pitched. An All-Star in 2017, Fulmer was the 2016 American League Rookie of the Year. The Tigers open up their 2019 season on March 28 against the Toronto Blue Jays.